Keeping your website secure is incredibly important, no matter what you are planning on doing with the site. If someone can easily hack into your website, or simply guess your password, that’s a huge issue and you need to take care of it right now. If any random hacker decided to come along and toy with your WordPress website, they would be able to delete all of your files and everything, which isn’t the nicest thought in the world. A WordPress website, despite being incredibly easy to put together, and simply better to use in most situations, can usually be cracked into fairly easily, unless you’re taking specific measures to stop hackers in their tracks and eliminate them from hacking into your website. In this post we’ll go over some WordPress security tips you can use to make your WordPress website more secure, including a few plugins you can use to aid you in the process. Although there are a few plugins that can greatly improve your WordPress website’s security, there are also some very easy manual steps you can take to assure your website can’t be hacked into, no matter who the hacker is. Although this is a very basic step you can take to making your website more secure, it’s one of the best you can do. 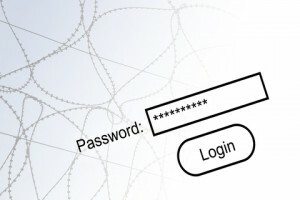 Studies show that 90% of passwords online aren’t properly secured and could be hacked by a hacker if the chance was given to them. Don’t let this happen to your website. Not only make sure that your WordPress login password is secure, but also your Cpanel password (if you’re using Cpanel), as if someone had access to your Cpanel password, they would still be able to delete or modify your WordPress files. This is a step you absolutely need to take in order to properly maintain your WordPress files. Regular backups will make sure that even if your website is hacked and deleted, that you can restore it in a moment’s notice. This can also help if you make an error yourself (we all do it from time to time) and ruin something on your site. You can simply restore the previous backup and go back to what you were doing. A lot of people using WordPress websites tend to completely ignore updating WordPress once their website is properly assembled and ready to go. It’s still an essential part of having a WordPress website, as a lot of the time when WordPress updates their files, it includes a few security fixes which stop bugs allowing hackers into your site. You should also definitely update plugins, as they can have security holes too. Updating your plugins and WordPress installation is a no-brainer, as well as being super easy to do, as long as you know your way around WordPress past the level of a complete beginner. That’s enough information when it comes to basic tips you can use to protect your WordPress website. Now let’s take a look at some of the best WordPress plugins when it comes to securing your website. Both of these plugins are extensively used and tested, so rest assured these plugins are the best in the business at protecting your site. *Changes the usual WordPress login/admin URL’s to different URL’s, so if a hacker were to try to login, they wouldn’t be able to find the login page. * Displays a completely random version number of WordPress to people viewing your website, so they have no clue when you last updated or when you installed WordPress last. * Allows you to set an “away” mode on, where the login is completely disabled so you don’t have to worry about your site when going on vacation or something similar. * Provides you alerts if anything is wrong or potentially wrong in your WordPress dashboard. Convenient if you don’t want to view the plugin’s page to see if something is wrong. * Protection against just about every website attack form imaginable, which means your website is extremely secure with this plugin. * Anti-spam against comments, just like the ever popular plugin Akismet, spammer’s comments will go straight into the trash bin with this plugin. As you can see now, keeping your WordPress website secure isn’t so difficult after all. In fact, by taking some simple steps towards your website’s health, you can save hours or days of frustration in the future. If your WordPress website isn’t properly secure, you should definitely go follow these steps right now to ensure you never have any sort of issue with website hackers or spammers in the future.